Tired of the same old golf pants? 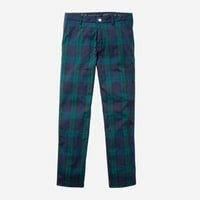 State Apparel’s unique Competition Pant aren’t your everyday trousers. They feature a Wiping Layer system that incorporates unique wiping fabric into the pockets and cuff as an on-the-spot solution to the persistent problem of water, dirt and mud. No need to worry about your hands or clubs being dirty. Plus, the breathable and stretchable tri-layer performance fabric is water, wind, and wrinkle resistant with a rubberized waistband to keep pants and shirt in place. Available in straight or slim fit for tailored comfort. All State Apparel products are proudly made in San Francisco. MSRP of $205. Hand-crafted in Portugal, the Ecco Golf Lux is a beautifully crafted cleated shoe, comprised of a high-quality leather upper and lining. While the outside offers a sharp, sophisticated look, the inner lining works with micro perforation to provide ultimate breathability. Out of the box comfort and extra width is ensured through a removable inlay sole. Like each Ecco golf shoe shoe, the model is constructed with proprietary FLUIDFORM™ technology without the use of glue or stitching. MSRP of $269.99 - $300. Golf vests are making a comeback. The Proxy from Antigua is similar to the company’s Trailblazer. 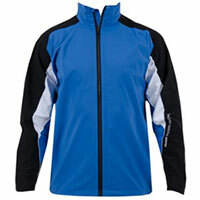 Its soft poly/spandex jersey body fabric has a water-resistant weave embossed with an abstract pattern layered on top. 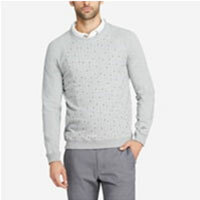 The style is meant to be layered over a favorite polo or long sleeve tee. 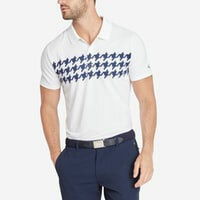 One of the nation’s premier designers and marketers of lifestyle and golf apparel, Antigua Group has launched a new line of short-sleeve polos called the Wildfire Collection. The line features a cotton-like closed mesh poly heather fabric and features a holographic printed box pattern accenting the top of each sleeve. 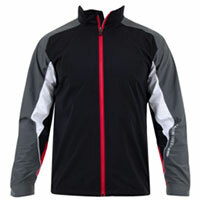 The finishing touch is a holographic zipper placket. 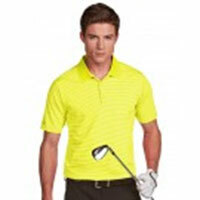 Complementing that line is Beam, another short-sleeve polo style featuring a multi-colored foil print across the garment. 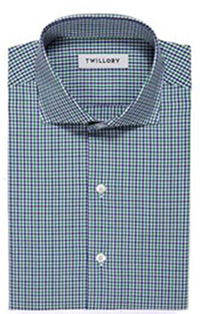 Twillory has made it easy to look your best at all times. This family-owned business offers finely-tailored men’s dress shirts that use only the finest of materials. 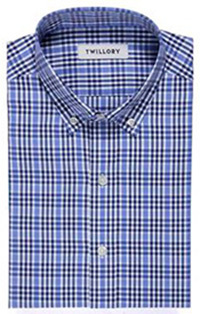 Wear these shirts for casual or business functions and be confident that you will look your best. 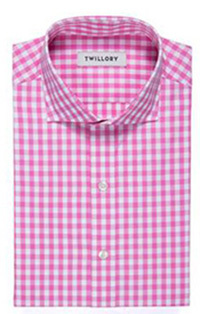 What we really love about the Twillory brand is their charitable initiative called RE:PURPOSE. 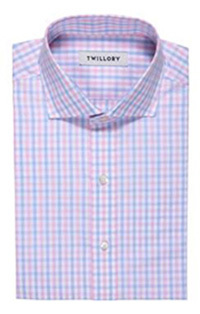 Included with your purchase is a pre-paid envelope that allows you to return a gently-worn dress shirt to Twillory that will then be given to someone in need. Golfers who want to look like champions need go no further than Clark Street Sports, which serves up dozens of apparel options celebrating the 2016 Chicago Cubs. 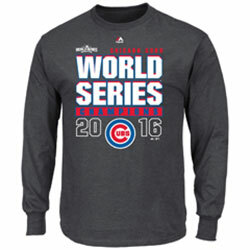 All 23 CSS retail outlets as well as the company’s website offer World Series can cozies, Cubs royal blue with red and white stripes socks, roster tee-shirts, long-sleeve tee-shirts, caps, hats, and hoodies. 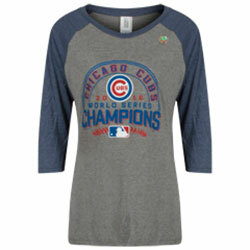 Clark Street Sports opened its first retail outlet in 2004, and has expanded beyond Cubs apparel to offer licensed merchandise of the Bulls, Blackhawks, and even items promoting the crosstown rival White Sox. Tail Activewear has been outfitting women players for over 40 years. 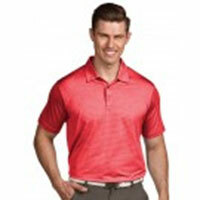 The apparel marketer’s Copacabana line boasts high-quality fabrics with advanced performance technologies that offer UPF 50 sun protection and moisture management. The Antigua Collection’s color palette optically represents the current synergy between the fashion industry and golf wear. Primary colors are out, while bright color hues are in, including pineapple, cajun, mulberry, and marmalade. 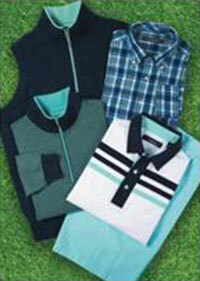 Stripes and color-blocked polos look especially dramatic when paired with solid styles. The Carnoustie Collection features performance knits, performance outerwear, and waterproof styles. New colors for the season include amethyst, spearmint, sky, and melon. The mélange fabric is nuanced to create a dimension far more dramatic than ordinary piece dyed solids. The collection includes elegant cotton knits, waterproof styles, cotton-woven sport shirts, worsted trousers, cotton and performance shorts, and a washed cotton five-pocket jean. The Vardon Vest features a ¼ zip pullover great for chilly spring and fall mornings. 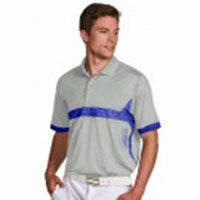 For more information on the Carnoustie Collection, visit www.carnoustiesportswear.com. Available in multiple colors, ECCO’s line of Casual Hybrid shoes are trendy and can be worn on and off the course. Crafted from luxurious Fornello leather, the shoes feature E-DTS technology for exceptional grip and traction. The leather is treated for excellent weather resistance. Leather sole inlays are removable for width customization. The official team supplier of outerwear for the 2016 European Ryder Cup Team, Galvin Green is one of the world’s leading manufacturers of functional golf clothing. Arrow jackets and August pants are completely waterproof and exceptionally breathable to provide protection, comfort, and freedom of movement. They feature waterproof zippers, adjustable width tabs, and water channels. The Galvin Green Arrow Gore-Tex jackets have an MSRP of $560. The August Gore-Tex pants have an MSRP of $395. Golfers seeking to step up their golf course look in the new year should take a tour at one of the Bonobos shops in Chicago. Once only available on-line, the menswear brand has expanded by building retail shops across the country. The clothier emphasizes higher quality, better fitting clothing, one-on-one service, and an enjoyable shopping experience. Henrik Stenson isn’t just one of the best golfers in the world. He’s also one of the coolest-looking guys on the pro circuit. But as it turns out, Stenson’s trademark sunglasses aren’t worn purely out of fashion sense. The 2016 British Open champion suffers from allergies and light sensitivity, thus making eyewear a mandatory piece of apparel. The new Henrik Stenson Eyewear collection features a special lens technology for both protection and performance. The lenses provide complete protection from harmful sun rays, and effectively cut glare as well as other visual and optical interference. They also enhance contrast so that fairways and greens appear more distinctive.